Mr. Panu Uthairat, the President of Pencak Silat Association of Thailand (PSAT), has taken a big step in promoting the upcoming 16th World PencakSilat Championship 2015. 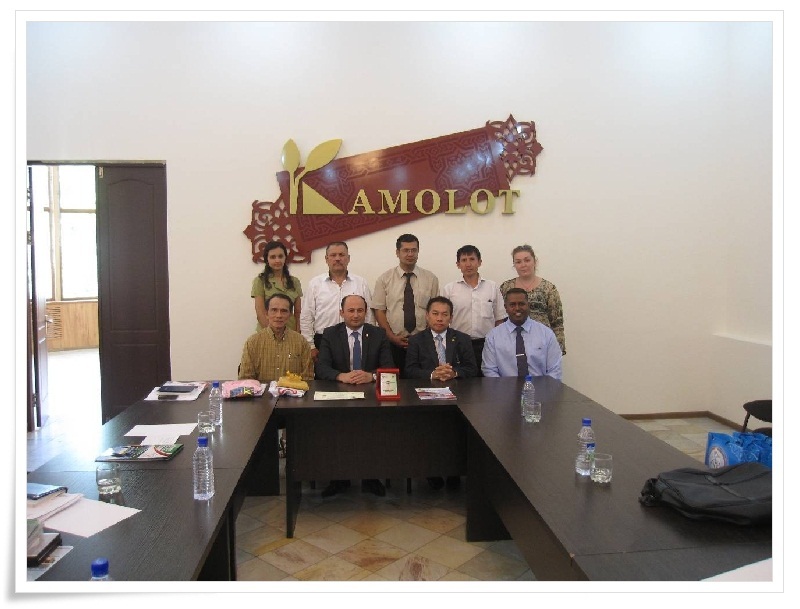 Mr. Panu made a visit to Uzbekistan last month from 4th to 7th August 2014. This will be his first international promotion forthe upcoming event. The visit was accompanied by PSAT's Committee Member - Mr. Prajuab Kaewkri,PSAT's Advisor - Mr. Kasem Benjawong, and Mr. Sheik Alau'ddin Yacoob Marican who is the Consultant for 16th WPSC '15. Purpose of the visit is basically to share ideas on how to develop and expand Pencak Silat internationally, introducing the new administrative board for PSAT, and at the same time promoting the upcoming 16th WPSC '15 which will be held in Phuket, Thailand, from 7th to 17th January 2015. A press conference was held during Mr. Panu's trip to Uzbekistan. 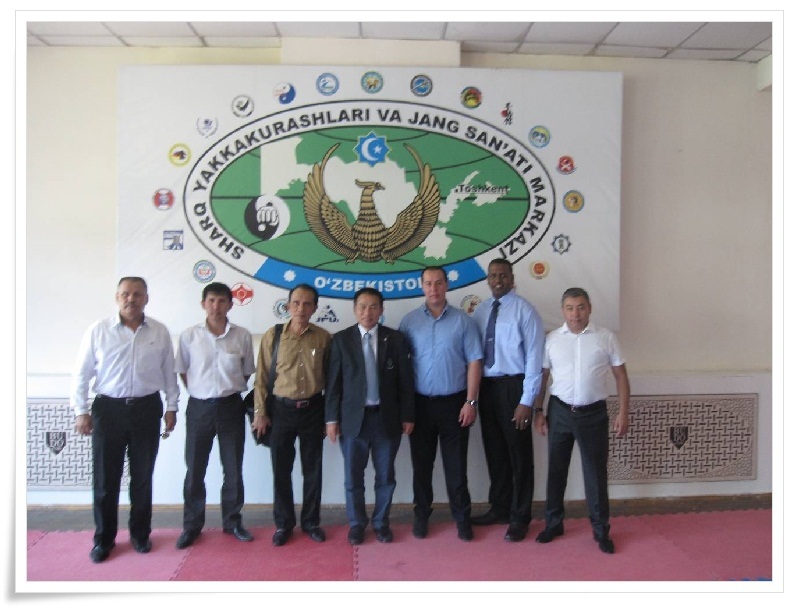 Together with Mr. Aziz Djurabaev, President of Uzbekistan Pencak Silat Federation, other representatives from the Central Asia countries, such as; Tajikistan,Turkmenistan, and Kyrgyzstan. Mr. Panu expressed his delight when Uzbekistan's medias and journalists attended the conference. He also thanked Uzbekistan Pencak Silat Federation for their effort to gather the Central Asia countries for the conference. Currently, PSAT is working aggressively in promoting the championship globally, also Mr. Panu is gathering ideas on developing the sport to many countries. In other words, by promoting the sport across the world, at the same time they will be able to attract many other countries to participate in the upcoming 16th WPSC '15. PSAT's expectation and main objectives is to get 47 countries taking part in the 16th WPSC '15, as they believed that most countries have the trust towards PSAT for hosting the championship. Mr. Panu's vision in the future is that Pencak Silat is being introduced to every country, and will be popularized like other fighting sports. 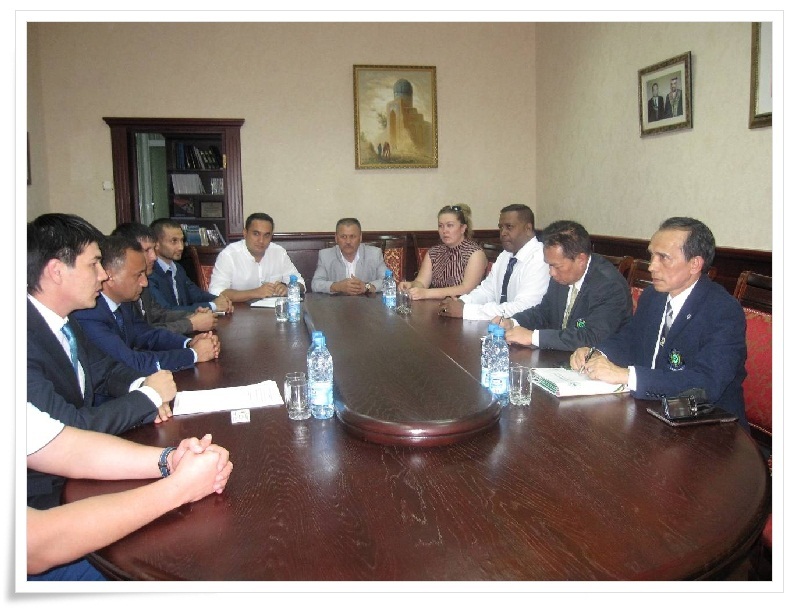 The entourage managed to do sites visit to Official Sport Organization, such as; Komolot, Youth Sport Development Centre, Ministry of Culture & Sports of the Republic of Uzbekistan, National Olympic Council of the Republic of Uzbekistan, and Bunyodkor National Stadium. During the trip there, Consultant for 16th WPSC '15 - Mr. Sheik Alau'ddin, conduct a small training session to teach the youngster some tricks and techniques for fighting and demonstrated the correct movements for Pencak Silat. Mr. Sheik Alau'ddin commented that he is excited and proud to see the youngster involving in the sport, he believed that they are important athletes for Uzbekistan's team in the future.